Use the form at the bottom of the page to send us photos and ask us questions about our services and all aspects of car care - feel free to ask for quotations or estimates. Taking a look through our answers will give you a pretty good idea of what we can do. 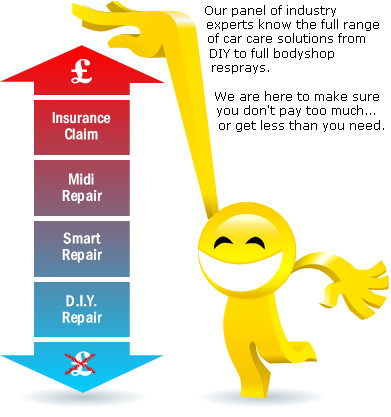 Before you claim on your insurance ask our experts about cost effective and appropriate solutions. We have assembled some of the finest people in the business to answer your questions. Click here to meet them.